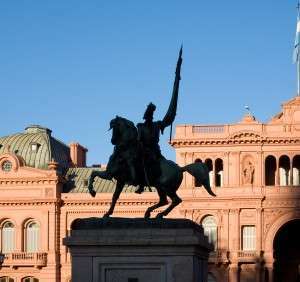 Visit beautiful Buenos Aires by way of private jet charter when you contact a Stratos Jets aviation consultant. At Stratos Jet Charters, we aim to deliver exceptional customer service while meeting your private air charter needs. Our knowledgeable air charter agents go above and beyond when coordinating your private charter flight and are available 24/7 to answer any potential question that may arise. Private aviation is the best way to make the most of your time and when you fly with Stratos Jets you determine your own departure times and locations. Buenos Aires is the capital and largest city in Argentina. 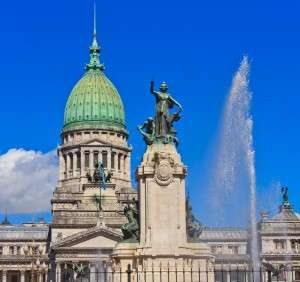 Established on the bay of the Rio de la Plata, Buenos Aires is a bustling metropolitan area and is home to many of Argentina's historical monuments and landmarks. The city has the most theaters of any in the world and boats gorgeous European style architecture. The people of Buenos Aires come from a variety of different origins including Polish, Arab, Swedish and Russian, among many others. There's also a large Jewish community in Buenos Aires, although most residents practice Roman Catholicism. Buenos Aires is often considered the "Paris of South America" because of its heavy European influence, and the city hosts many fashion events including the Buenos Aires Fashion Week twice a year. Since Argentina is the center of the Polo world, the sport is a popular past time among Buenos Aires natives and visitors alike. Take Polo lessons (no prior riding experience necessary!) at Polo Elite or catch a Polo match at one of the exclusive clubs in Buenos Aires. For boutique shopping or a chic lunchtime getaway, visit Recoleta, a neighborhood outside of downtown Buenos Aires. On the weekends, the host street fairs with dancing, music and authentic eats. Lo de Joaquin Alberdi Vinoteca is a lovely winery with an extensive selection of wines for tasting and for purchase. Spend an afternoon here before heading to dinner at one of Buenos Aires' fine dining restaurants. When you fly privately through Stratos Jets, leave the stresses and hassles of alternative air travel behind. Avoid lengthy security lines and baggage claim, while enjoying amenities such as onboard catering through our Stratos Jets menu and extra cargo space at your request. Stratos Jets can also arrange ground transportation and hotel reservations. With access to over 5,000 available private aircraft, a knowledgeable Stratos Jets agent can assist you in determining the perfect private plane equipped with the latest safety and multi-media technology to ensure a safe and enjoyable flight to Buenos Aires. As a recognized leader in air charter safety, Stratos Jets has earned the respect of our clients and our industry peers. The Stratos Jets Approved Vendor Program is a comprehensive air carrier due-diligence program we use to screen all aircraft and aircraft vendors and ensure the most well-maintained aircraft for your private charter flight to Buenos Aires. Stratos Jets conducts third party safety audits on all Part 135 and Part 121/380 jet charters. We only work with fully registered Part 135 and Part 121/380 carriers, carefully screening all aircraft and aircraft operators to ensure that every charter flight for our clients is on the safest, most well maintained aircraft, and ensure they meet the Federal Aviation Administration's safety criteria. Buenos Aires is served by four high quality airports: Aeroparque Jorge Newberry (SABE), El Palomar (SADP), Ministro Pistarini (SAEZ), and Moron (SADM).